A powerful tile and grout cleaner formulated with the cleaning power of hydrogen peroxide. It contains thickening agents that help the cleaner cling to surfaces, maximizing contact time for better performance. 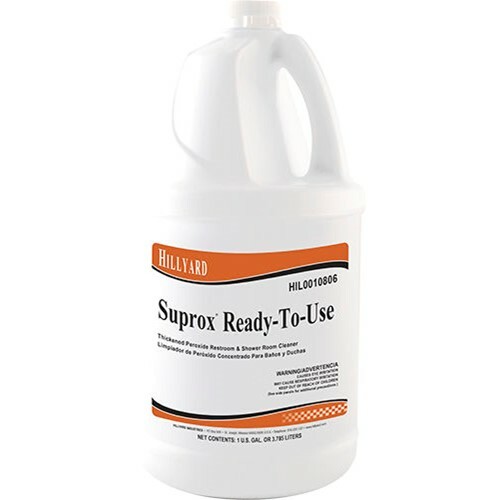 Suprox Ready-To-Use can be used on most tile and grout surfaces, bathroom and shower room surfaces, and bathroom fixtures like sinks, toilets, and urinals.